Looking for something good or something new to read before heading back to school? Check out this e-book sampler (it's free!) with excerpts and short stories from four Bloomsbury authors! MEGAN MIRANDA—What happens when you survive the unsurvivable? Will you still be the same when you open your eyes? And what happens when you believe that you are to blame? Find out in this excerpt from FRACTURE and the accompanying story, DECKER’S TALE. JEANNINE GARSEE—What if the voices that you believe are only in your head are something much, much worse? What if they are real and they need something from you? Find out in this excerpt from THE UNQUIET and the alternate first chapter, TASHA. SUSAN VAUGHT—What if your only friend in the world is gone and you are the only one who can find her? What if it is the voices in your mind preventing you from trying? 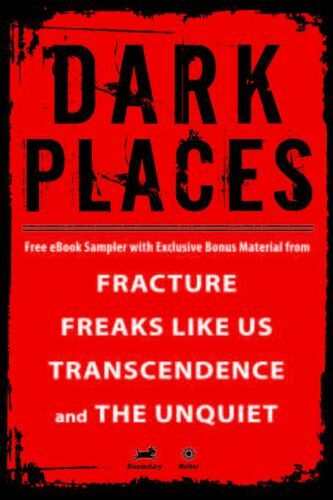 Find out in this excerpt from FREAKS LIKE US. And find out what it is really like to find yourself in a place where the Dark Places are all around in the short story, ASYLUM. CJ OMOLOLU—What happens when the parent falls away and memories of your past lives and loves return? What if those past lives are threatening your present? Find out in this excerpt from TRANSCENDENCE and the alternate first ETERNAL REDEMPTION. The free e-book sampler is available wherever e-books are sold! I grabbed a copy of this too. 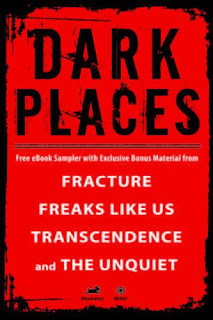 Fracture was one of the best books I read last year. Lots of original stuff going on and some pretty awesome characters. I think I saw this one about, and I as a little iffy about it because I don't usually like to invest time on samplers but this one sounds pretty cool.